This practice guide also gives the results and lessons learned of all nine best practice cases. 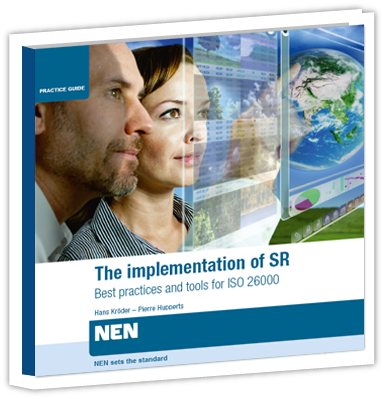 It offers helpful findings of the experts and shows the added value of ISO 26000 for the implementation of SR.
"This handbook is interesting because it emphasize the practical application and the ‘how to use’ of ISO 26000 in different types of organizations"
"ISO 26000 serves as a practical guide for the integration of socially responsible behaviour in the strategy, systems, practices and processes of our organization"
This handbook is accompanied by three tools: issue-matrix, stakeholder-communication matrix and implementation-matrix. You can download these tools for free.